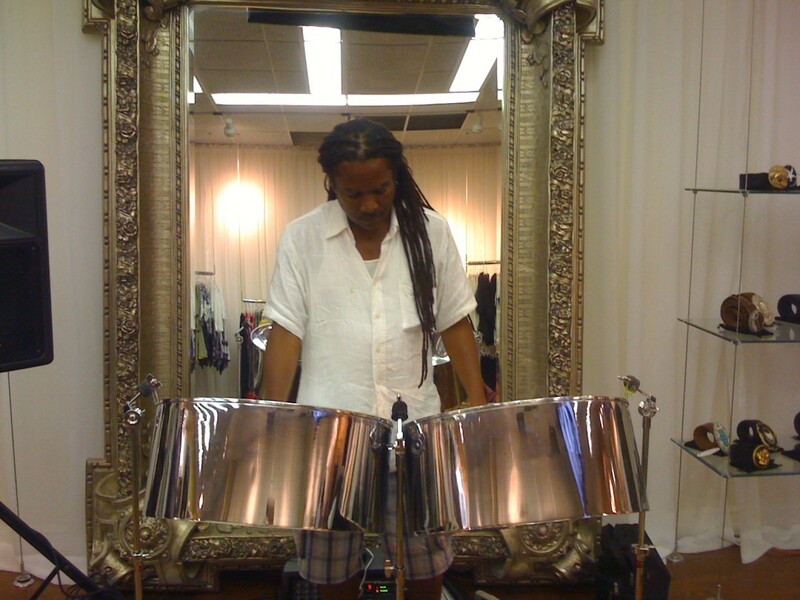 There have been many store openings that Steel Band Culture has helped to launch, including this one, a high fashion boutique in Delray Beach on Atlantic Avenue. Amidst the beautiful clothes and accessories, Ed took up his spot against the back-drop of a very grand mirror. Flashy indeed!